Bodybuilders are constantly seeking ways to get enough protein in their diet. Meeting your protein goals can hit you in the wallet as many of the traditional protein sources aren’t cheap. Getting creative with your food choices is a great way to get more bang for your buck. If you’re upping your protein to build or maintain muscle, but also watching your bank balance (who isn’t? ), then this run down is for you. Tempeh is created by fermenting soybeans, and it makes use of the whole bean which gives it a higher protein content than other soy products. Not only is it higher in protein, but also fiber and is more digestible because it’s been fermented. Though not as well-known as other soy products (think Tofu), it’s a decent source of vegetarian protein at 19g of protein per 100g. You pay for it though. Due to its high retail price (you can buy an 8 ounce packet for €2.21), it’s one of the priciest sources of protein per gram at €0.53. The cost of salmon has reduced as farming and fishing methods have become more efficient. Even so, it’s one of the more expensive protein sources per gram. 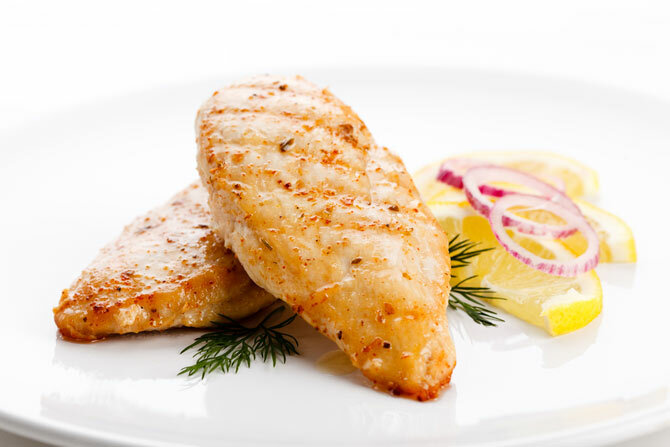 A 6.4oz fillet will give you 30g of protein, but it will cost you €0.38 per gram. It is packed with nutrition however: it’s high in omega 3 fatty acids, vitamin D, and a variety of B vitamins. If it’s wild caught it may have high levels of mercury, and farmed fish will have been fed antibiotics. Eat in moderation. 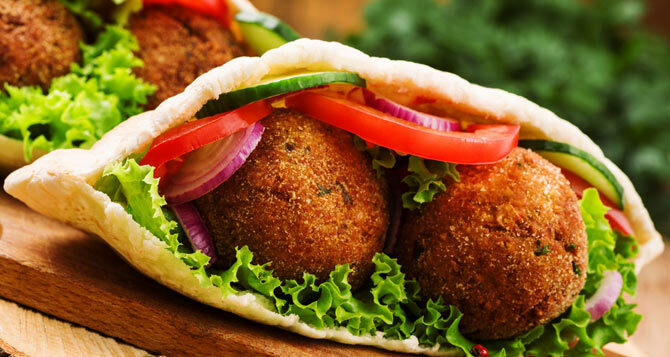 Traditionally made from soaked chickpeas, garlic and spices, falafel are routinely available in supermarkets. As with all manufactured produce, often the ingredient list is far longer than the traditional recipe, so make at home if you want to take advantage of the 3g of protein in each one. If you buy it from a store, expect to pay €0.29 per gram of protein. 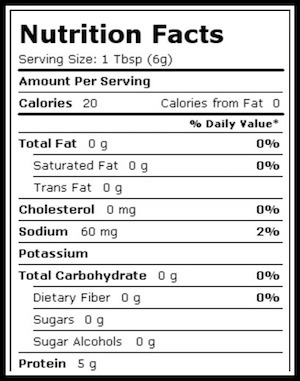 Also a good source of fiber, but they are traditionally fried so watch the fat content. Cod is seen as a healthier alternative to meat, as it’s low in saturated fats, and better than oily fish because it has a lower calorie content ounce for ounce. It’s a good source of omega 3 fatty acids, though nowhere near the levels found in salmon, and vitamins B6 and B12. Other white fish, like tilapia, are available which are cheaper and could give you more bang for your buck. If you stick with cod expect to pay €0.18 per gram of protein. Sunflower seeds are one of the cheapest edible seeds available, and a decent source of plant protein. You need to eat 25g to consume 5 grams of protein, costing you around €0.16 per gram. 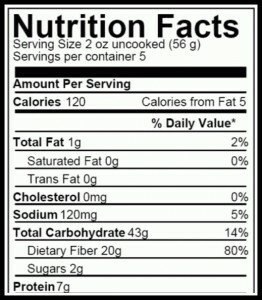 They also have a high fat content, though this is ‘good’ unsaturated fat. Eat them as a snack, add them to salads, cereals or smoothies. They’re nothing if not versatile. Easy to rake up the calories on these as they are calorie dense, so mind your portion sizes. Anchovies are small, salty fish which can be used in a variety of dishes mixed with scrambled eggs or added to pasta dishes. As an oily fish they are filled with omega 3 oils, and are rich in calcium and B vitamins. You can consume them without worrying about mercury levels, which you find in other fish. They are relatively inexpensive per can, but the amount of fish is low relative to olive oil, so they’re expensive at €0.23 per gram of protein. 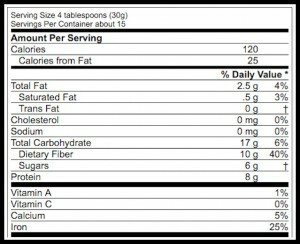 Greek yogurt has twice as much protein as regular yogurt and is a good source of casein protein. 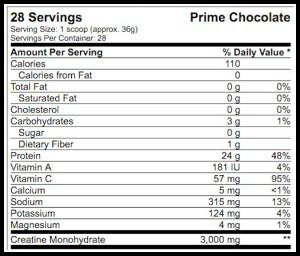 It does cost more at €0.13 per gram of protein, but has a thicker, more luxurious consistency. 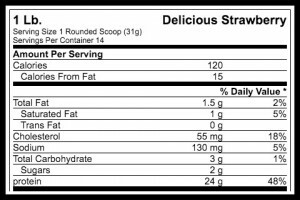 Choose the plain Greek yogurt rather than the flavored varieties as manufacturers add a ton of added sugar to flavored yogurt. Low fat varieties reduce the calories still further, but it can taste more acidic. You can also buy probiotic versions for gut-friendly bacteria, if you’re so inclined. Nothing is more closely associated with protein than a juicy steak. It’s a great source of protein of course, 42g for a fillet, but would it surprise you to learn that’s the same amount as 100g of tempeh? 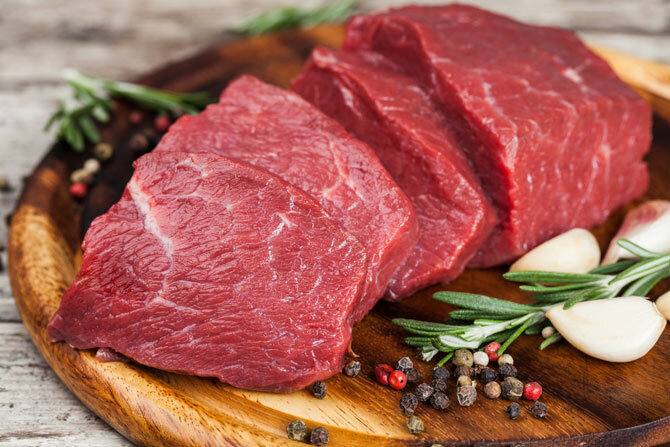 Beef is also 4x cheaper per gram of protein at €0.12 If you’re opting for beef choose your cuts wisely, some cuts are higher in saturated fat than others. 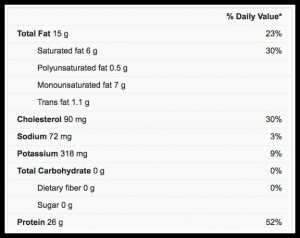 Nothing wrong with fat in your diet, just don’t overdo it. 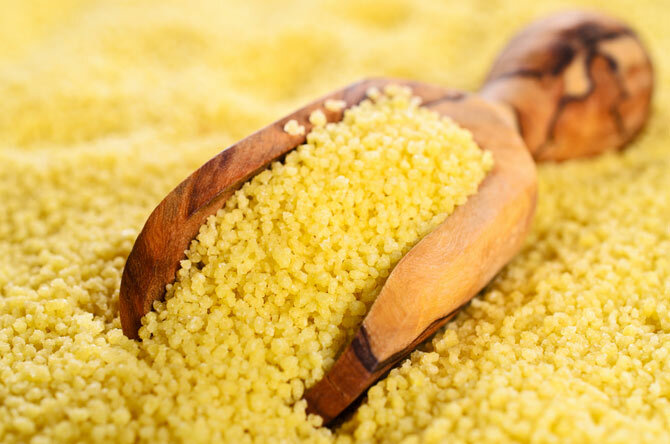 Couscous is a traditional North African food made from granules of semolina, and is something of an anomaly in health food circles. Although it’s seen as a healthy grain, it is actually a refined carbohydrate with a similar nutritional value to white pasta. It’s versatile, easy to cook, and is available in a whole wheat version, which increases its nutritional value a little but is more expensive to buy. Expect to pay €0.12 per gram of protein, but remember you get a large portion of refined carbs with it. Chicken is a good source of complete protein, but has a slightly lower protein content than beef or cod per serving size. 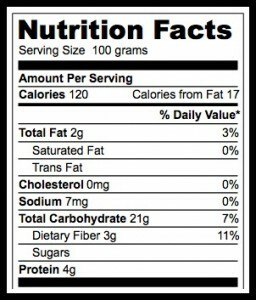 It has a lower level of saturated fats than red meat. Breast meat is the lowest source of fat of any part of the bird, but it is also the most expensive and will cost you €0.10 per gram of protein You can find cheaper cuts such as thighs, wings and drumsticks, but you pay with a higher fat content. Always steer clear of the skin, which is loaded with fat. The main ingredient in beef protein powder is gelatin, which is made from the parts of the cow no-one eats. It isn’t as high a quality of protein as you would get from eating the meat, but it also doesn’t have the saturated fat and cholesterol content either. Beef protein powder is the most expensive of all the protein powders at €0.08 per gram of protein. 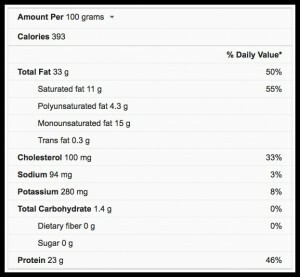 It costs more because it isn’t as highly concentrated a source of protein as others on the market. Nuts are a great convenient food and can make for a satisfying snack packed with vitamins and minerals. Take care when buying as they are often highly processed with salt and flavorings added. They are calorie dense foods because they are high in unsaturated fats. If you want to keep an eye on portion sizes, buy unshelled so you’re less likely to overdo it. A 25g serving will give you 5g of plant protein, so a useful addition to your diet, but not a dense source. 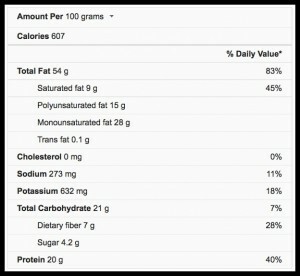 Cost is €0.07 per gram of protein. 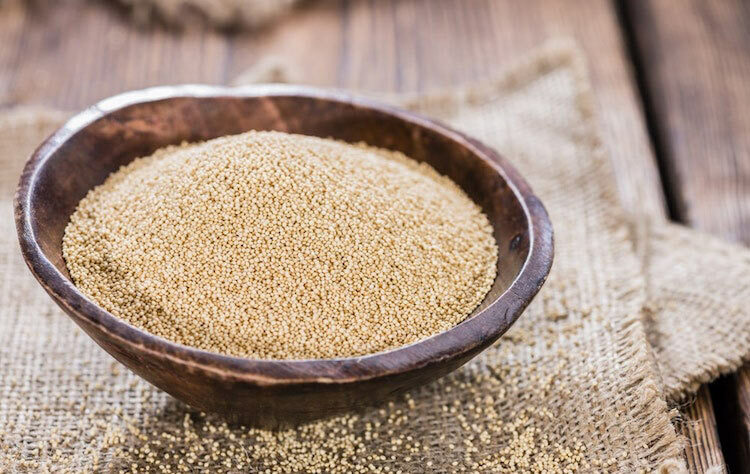 Amaranth is a high protein carbohydrate. It’s a better option than other protein rich carbs as it you can get a decent amount of plant protein in per serving size – 9g per cup of the cooked grain at a cost of €0.06 per gram. The amaranth grain is gluten free if you’re intolerant. It also has the advantage of providing amino acids you don’t normally find in grains - Lysine and methionine – and it’s high in fiber, iron and calcium. So there’s a lot to like. Quinoa is an unusual grain as it has all nine essential amino acids, so is considered a complete protein. That makes it a great protein source for vegetarians and carnivores alike and costs just €0.06 per gram. Boost the protein content of your meal by using it as a carb replacement (switch rice or pasta for quinoa and you’re good to go). It can be cooked in a variety of ways, and can be used in replace of oats for a protein ‘porridge’. A great breakfast protein. Sardines are an oily fish, similar to salmon and mackerel, and, as such, are a complete protein source that offers the added benefit of high levels of Omega 3 and vitamin D. Sardines are usually canned in olive oil and, like other canned fish, are incredibly cheap when compared with fresh and frozen fillets at just €0.06 per gram of protein. The great thing about sardines is they’re convenient to eat and you don’t need to worry about mercury content. Just open the can and you’re good to go. Hemp is, of course, a variety of the cannabis plant and is a source of plant protein. 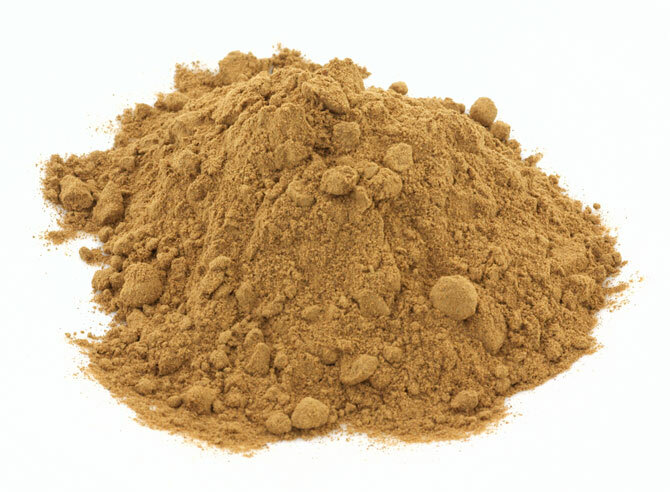 Hemp powder is derived from hemp seeds which are pressed to extract the oil. The remaining meal is then milled to separate the protein and dehydrated. Gram per gram, hemp powder is a less concentrated source of protein compared to other protein powders available on the market. This is why it is one of the more expensive protein powder options per gram at €0.06. Rice has fallen out of favor with the health conscious recently due to its high carbohydrate content. But brown rice is a healthy choice as it retains the germ and bran layers of the grain. It has many of the nutrients you lose in white rice, such as B vitamins, phosphorus and magnesium. Expect to pay €0.06 per gram of protein, but remember you’re taking in a lot of carbs with every gram. Other grains boost protein intake better. 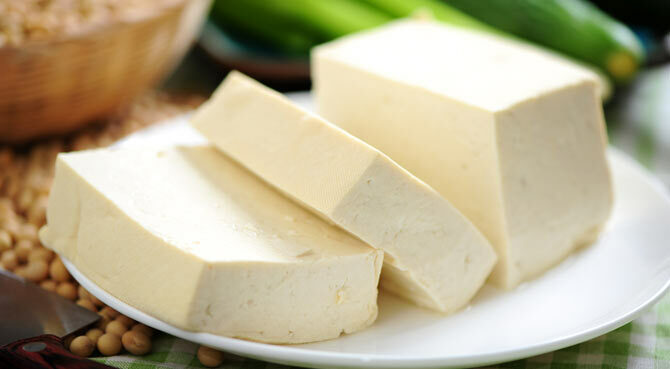 Tofu, like tempeh, is derived from soybeans. It is a complete protein source, so is a great option for vegetarians, and it also comes with good amounts of calcium and iron. It has a lower level of protein per serving than tempeh, but is much cheaper at €0.06 per gram. Tofu can take some getting used to, but it absorbs flavor well, so if you’re a culinary whizz add a mixture of herbs and spices to transform the taste. The vast majority of soy is genetically modified, so if you say no to GMO give tofu a miss. Pork offers great value as it’s cheaper on average than red meat. Processed varieties such as ham and sausages are very high in fat, but lean cuts are a low fat, complete protein source. Ground pork from the supermarket offers a budget version of the meat. Watch the fat content as it tends to be made from fattier cuts and can contain up to 15g of fat. But you can get your animal protein for €0.05 per gram if you choose ground pork. 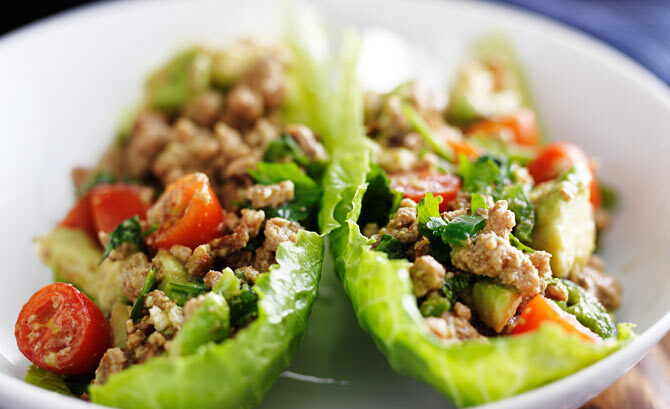 Ground turkey is an inexpensive source of complete protein at €0.05 per gram. Buy it from the supermarket and expect it to contain a variety of different parts of the bird, likely a mixture of white and red meat, plus skin and fat. So not necessarily the low fat option you would expect from poultry. 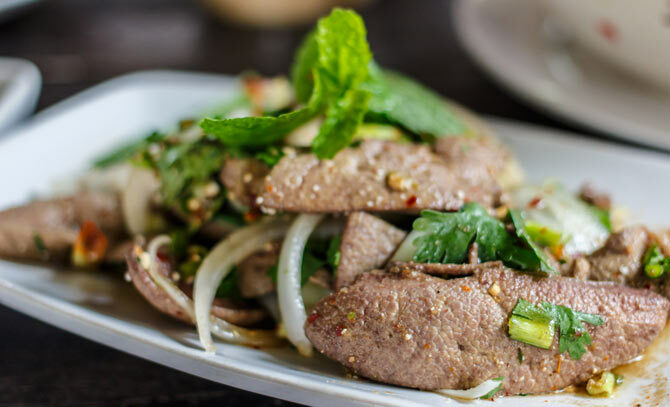 Nevertheless, it’s a great substitute for ground beef in cooking, but is no substitute for a breast fillet if you’re comparing fat to protein ratio. Beans are most well known for being a high fiber food source, and generally the western diet is low on fiber. But they are also a good source of calcium, iron and magnesium (depending upon the bean). They’re a plant protein so you’ll need to combine them with rice or nuts to make them a complete source of protein. They are a fantastic cheap food; buying canned beans will cost you €0.05 per gram of protein. Push the boat out and go organic if you have a mind to. Part of the legumes family, lentils are another rich source of non-animal protein. Lentils are often used in vegetarian and vegan dishes to substitute meat. Like all plant protein sources they are an incomplete source of protein. Combine lentils with other protein rich foods to get all the essential amino acids you need. They’re a cheap source of protein at €0.05 per gram, and are a handy cupboard staple for boosting protein in your meals. 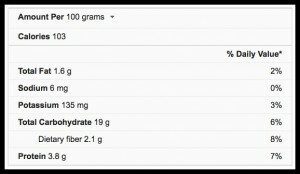 If you’re a vegetarian and struggling to pack in enough protein in your diet, a vegetable protein powder (usually pea protein) is a great choice at €0.04 per gram. It’s easily digested and contains all the essential amino acids. It’s perfect for people who have food allergies, such as gluten or lactose, and vegetarians who may by allergic to soy. 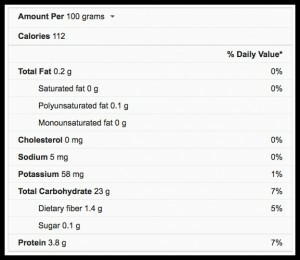 Pea protein compares favorably with whey protein, another popular protein powder, as it’s naturally cholesterol and fat free. 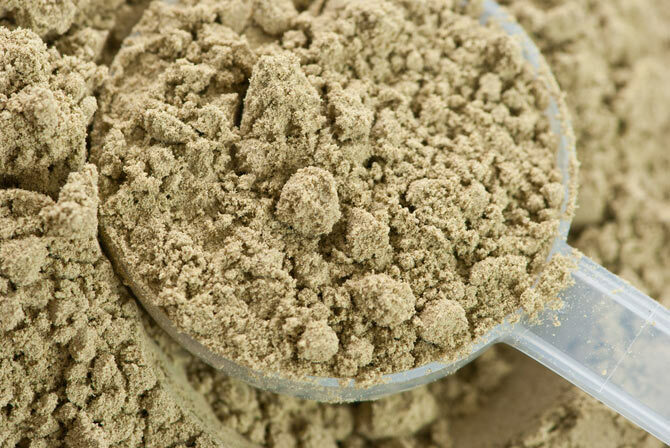 It’s a more concentrated source of protein than both hemp and beef protein powders, but not as rich a source as whey. We’ve already established fish is a great source of protein, but fresh fish can be expensive. Canned tuna is hard to beat as a complete protein source if you’re watching your cash flow at just €0.04 per gram of protein. It’s low in calories and it has a long shelf life. Everyone’s cupboard should have a tin of tuna in it. Limit the amount of tuna you eat as it is a source of mercury. 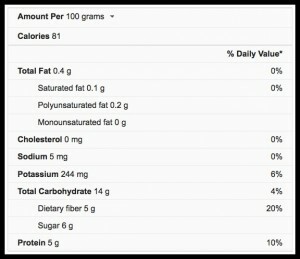 Eat no more than 5.6 ounces of Albacore tuna and 16.4 ounces of light tuna a week. Cheese is the dairy world’s highest concentrated source of protein. Unfortunately it normally comes with a heavy fat content. 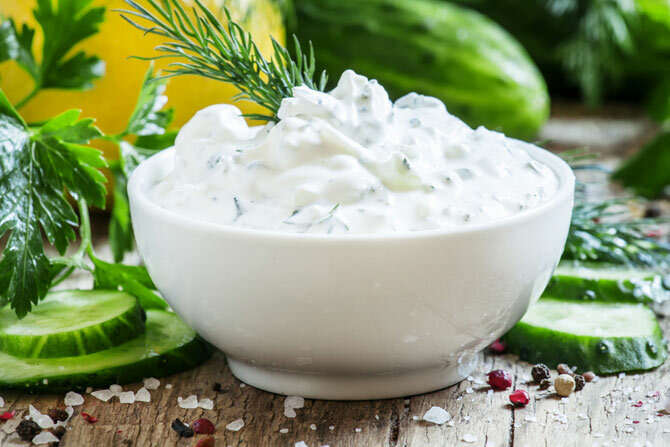 Cottage cheese gives you the best of both worlds, as its high in protein (it will cost you €0.04 per gram) and low in calories (if you opt for the low fat version). 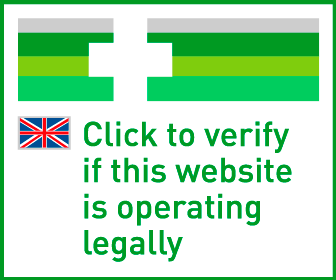 It is high in salt, but low salt versions are available. It goes without saying that, as it’s a milk based product, the lactose intolerant should steer clear. The humble egg has been tossed around in the health debate for some time and, whist its reputation has been largely repaired, there are still those who swear off the yolk and only eat egg whites. Well, they’re missing out. Though egg whites are still a good choice if you’re cutting down on fat, the yolk contains all the vitamins, minerals, antioxidants and Omega-3 fatty acids (free range eggs only). If you’re consuming the whole egg, you’ll pay an affordable €0.03 per gram of complete protein. 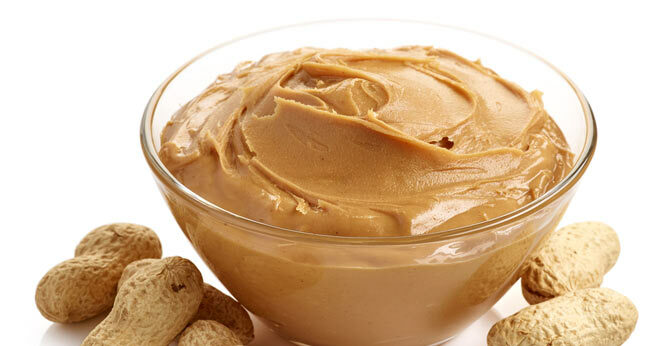 Peanut butter can be a highly processed food product and not all peanut butters are the same. As a concentrated source of peanuts it is one of the least expensive sources of protein of non-animal products at €0.03 per gram. But read the label before you buy. Another great protein source for vegetarians, but this one is very high in fat. Don’t be fooled by the low fat varieties. 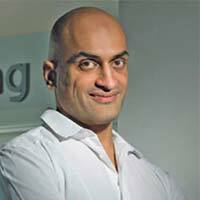 Yes they’ve reduced the fat, but it’s been replaced by sugar – and that is not a healthy swap. Milk is a staple of the western diet, and cow’s milk is a fantastic source of complete protein at a low price. For just €0.03 per gram of protein, milk is comparable to eggs as an affordable source. If you are watching your fat intake you can opt for 1% (skimmed milk). 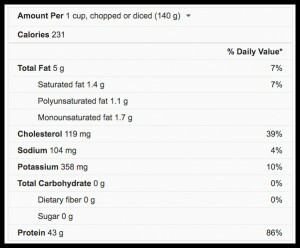 You retain the protein and much of the nutritional value but reduce the fat. Studies have shown higher levels of nutrients in organic milk, so go organic if you can afford it. Whey protein is a byproduct of cheese manufacturing and one of the most concentrated sources of complete protein of all the protein powders available. It’s also low calorie and fast digesting. If you’re bulking up and your protein intake needs are through the roof there is only so much you can eat, and a concentrated source of protein such as whey can be a savior. At just €0.03 per gram of protein it’s one of the most affordable protein sources around. While offal, including liver, sweetbreads, heart and kidney, have had a renaissance in 5 star restaurants, it’s still rarely seen in your average household kitchen. Yet unfashionable offal like pig’s liver is a budget-enhancing source of protein at just €0.03 per gram. It contains more vitamin A than you could ever need, and is a great source of vitamin B12 and iron. Take care about how much you eat, as liver is high in cholesterol. Also too much vitamin A can be toxic – so don’t overdo it. Pasta has fallen out of favor as a food source, especially the white stuff, another victim of the low carb diet. But whole wheat pasta has a lot going for it: it’s cheap, and is rich in complex carbs. Whole wheat pasta has fewer calories than the white stuff, more fiber and more protein. At €0.03 per gram of protein it’s one of the cheapest sources around, but remember you’re loading carbs at the same time. If you’re allergic to gluten, gluten free varieties can be found in the supermarket. Another oily fish, similar to sardines, salmon and tuna. 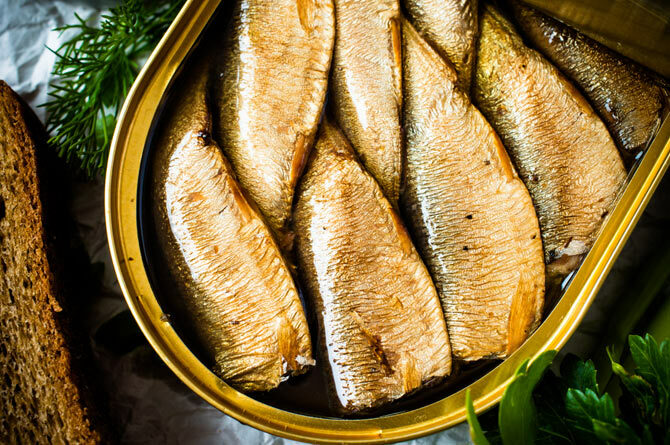 Mackerel is a very good source of protein with one 15oz can providing 60g of complete protein. Not only is it high in protein, it is also has amongst the highest levels of omega 3 that can be found naturally. It is also a rich source of vitamin D and B12. Tuna may outsell mackerel in the supermarket, but mackerel still offers a great source of complete protein at just €0.03 per gram. Oats have come back into foodie fashion, but it’s always been a great breakfast dish offering slow releasing energy and a good source of fiber. It’s predominantly a carb of course (a 40g serving with provide you will 6g of protein), but because it’s so inexpensive you’ll pay just €0.02 per gram of protein Traditional oats are available steel cut, rolled or instant oats in order of how finely milled the grain is. But be sure to buy only traditional oats and not the manufactured, ultra-processed varieties with added sugar and flavorings. Another protein heavyweight, soy protein powder is a highly concentrated, complete protein that will cost you just €0.02 per gram of protein. It is plant based, so great for vegetarians. Soy protein is digested and absorbed quickly. Soy protein is high in allergens so take care with the amount you consume. 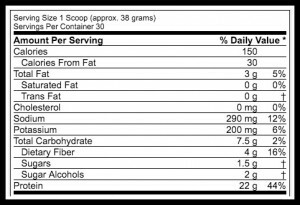 If you aren’t lactose intolerant consider whey protein as your main go-to protein powder. As with all soy products, it’s likely derived from GMO soy beans and there are concerns around links to breast cancer. As a general rule, vegetables are not a protein rich food source. But if you’re eating vegetables anyway (and of course you are) peas are a great choice. They’re a convenient addition to any meal – frozen and low cost. Also a good source of fiber and, like many vegetables, low in fat. Peas are useful for vegetarians to boost their protein intake, as they are one of the highest natural vegetable protein sources there is. Expect to pay a lowly €0.02 per gram of protein. So there you have it, a surprising mixed bag of plant and animal based proteins. 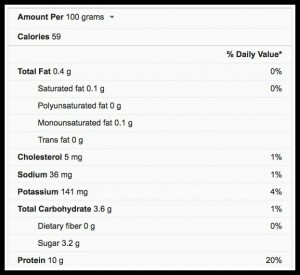 Some favorites like eggs and milk fare well as inexpensive sources of complete protein. But to really get a high quality protein source at a low cost – pig’s liver or canned tuna are great buys. 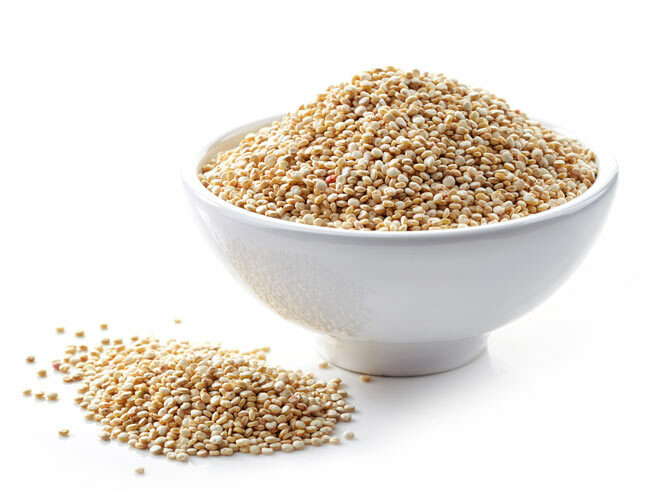 The best grain choices include the lesser known quinoa and amaranth, though they are amongst the most expensive. Replace your traditional carbs with these, throw some peas on your plate and add your complete protein of choice (meat, fish or vegetarian alternative) and you have a protein rich, low cost meal. 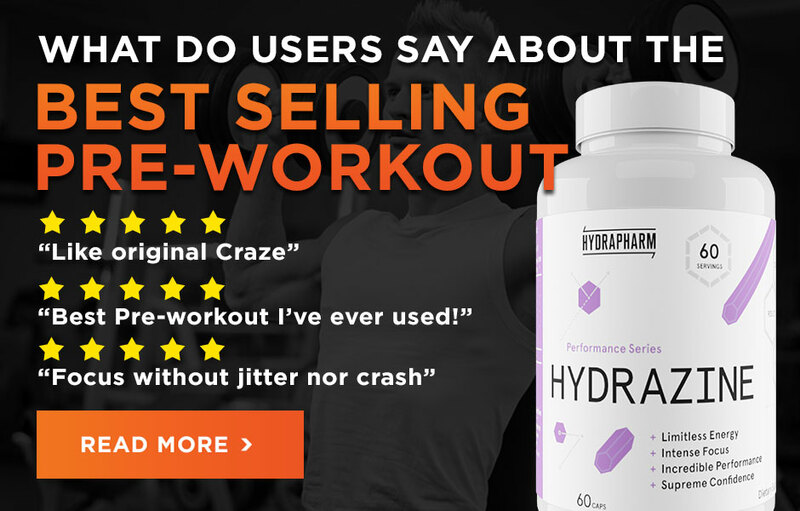 For when you’re packing in the protein and need a quick fix, whey protein powder gets ‘hero’ status as an affordable and highly concentrated protein source – but you knew that already.